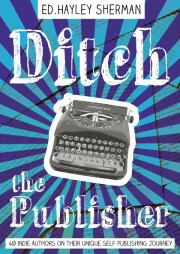 I’m one of the 40 contributing authors (I’m no.7): ‘The Ebook Revolution’. To access your free copy click here (also available at Smashwords and Amazon). To read more about it visit Hayley’s website. On 2nd June 2014 I was told my story in the Aspiring Writers 2013 Anthology was published as a paperback from CreateSpace, other authors are Betsy A Riley, Mike Olley, Randall Lemon, Carrol Fix, Tony Daly, Carolyn Egan, Padma Narayanaswamy, Tim Mooney, Daron Henson, Mario Dimain, Laura Rittenhouse, Dan Marvin, David Mills, Morgen Bailey (oh yes, that’s me), Helen Laycock, Shirley Scurlock, Ruth Ann Hixson, Madeline Coelho, Alli Vaughan, William Roy Pipes, and Judy Odenheimer. This anthology contains the first, second, and third place winners from the 2013 Aspiring Writers monthly short story and poetry challenges. Writers have only two weeks to craft a story or poem meeting the challenge. 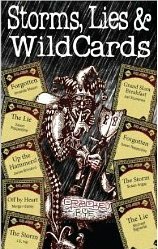 Then four days later, on the 6th June 2014, I had an email from the lovely people at Surrey-based The Other Publishing Company to say that my story ‘Off By Heart’ has been published in an eight-story anthology called ‘Storms, Lies and Wildcards’ (pictured right), available on Amazon.co.uk and Amazon.com. Writers from all over the world took up the challenge and here, in the judges’ opinion, are the best of them — the winning stories that entertained, intrigued and amused, standing out from the crowd for their imaginative approach and ingenuity. The writers of these stories took on a difficult challenge and made little pieces of reading pleasure from a very tight brief. Here you’ll find romance, death, love and family trauma — little slices of life told in just a few words. And as a bonus, the stories have been brought to life by the evocatively beautiful illustrations of Eve Yarnton. Storms, Lies and Wildcards – little reading pleasures.